Did you know that sparkling wine is one of the most food friendly and versatile wine styles? That’s right! Forget “red or white?” with dinner. You should be thinking “red, white or sparkling?”! Well, give us the benefit of the doubt and let us convince you… twelve times over! We’ll take you through an exceptional twelve course tasting menu, and give you twelve examples of how the dishes from Niagara-on-the-Lake’s Backhouse Restaurant paired perfectly with twelve VQA Ontario sparkling wines. Just like Backhouse, the sparkling wine in Wine Country Ontario is a reflection of history, tradition and context. How so? As immigrants from Europe and other wine producing areas of the world came to Ontario, they brought with them their penchant for vino and inspired wine industry pioneers, who in turn, invested in the idea of local wine and helped inspire wine lovers to embrace local wines. Once the wine industry matured, sparkling wine too began to “bubble up” and today reflects tradition and its cool climate context. It seems like consumers are catching on, as you’ll see via our Ontario Sparkling Wine Map that there are over 130 sparkling wines being produced in our lovely province. Pretty impressive for a region whose wine industry is just about 15 years older than us! But, can the spectrum of sparkling wines in Ontario stand up to an incredibly broad range of dishes and cuisines? Well, we tested this hypothesis (oh, how we suffer ) with a selection of wines presented by Magdalena Kaiser (Director of PR – Marketing & Tourism for the Wine Marketing Association of Ontario), with a bit of input from us, because, you know… we do love the stuff! Before we get into the twelve course tasting menu, and the twelve wines paired with each dish, let’s cover off some of the basics. Like red and white wine, sparkling is a diverse category. First there’s the production method – with the two most popular being the Traditional Method (like Champagne) and the Charmat Method (like Prosecco), although there are in fact many others. Then there’s the grape varietal – whether it be the classic blend of Pinot Noir & Chardonnay, or less common varietals like a Sparkling Merlot or Sauvignon Blanc. And then, of course, there’s the whole conversation about ageing and dosage that adds another layer to the category. And, on top of that, there’s cool climate vs. warm climate, geography and terroir to think about. All in all, there’s a lot more diversity in the sparkling category than one might think! High Acidity – cuts through rich, fatty dishes, and allows the wine to stand up against “wine pairing no-no’s” (like vinegars) and cleanses the palate after every bite. Minerality – provides a great accompaniment to earthy, savoury and fruity flavours… bet you didn’t think you could do bubbles with your steak, eh? Bubbles – lift lingering flavours off your palate, providing a refreshing sensation, and invigorate your senses… inviting you to take another sip! Ok, maybe we got a little romantic on the last point – but we just love our bubbles!  Romance aside, cleansing the palate and holding its own in the face of tough foes like tomatoes, balsamic vinegar and delicious fats are key considerations for sparkling wine’s food friendly reputation. Ontario sparkling wine is a growing category that excels on many fronts, including diversity, quality and value. And while the rest of this post will delve into its ability to pair exceptionally well with food, we wanted to make a comment on the value proposition of Ontario bubbles. The quality of sparkling wines produced in Ontario is, unsurprisingly, very high. The traditional method wines produced here really are a labour of love, and the price range for most of what we see in the market is extremely approachable (especially considering the costs of labour, land and carriage). Storing something in the cellar for five years before it hits the market is an opportunity cost – more often than not, with a big win! So, when you pick up a traditional method VQA sparkling wine (typically ranging from about $25 – $50), keep in mind that there are plenty of examples that are comparable to a Champagne in terms of quality (which will cost you $60+) and that is one awesome value proposition for VQA Ontario sparkling! With that in mind, it’s important to note recent global trends that have had an impact on the industry. For example, the popularity of approachably priced, fruit-forward Prosecco has driven growth in the volume of charmat method bubbles produced and consumed around the world. Like the wines of Prosecco, charmat method bubbles in Ontario (sometimes labelled as Cuvée Close) offer consumers a very well priced gateway to local bubbly. And as the price of Prosecco continues to climb, a local VQA charmat method bubbly will become even more appealing. VQA regulations permit the use of all vitis vinifera approved varietals in charmat method bubbly in Ontario, so you’ll find estate grown Chardonnay and Pinot Noir, or Riesling based wines that stand up and hold the Ontario flag high when it comes to diversity, value and quality. Backhouse is seriously cool. And not just because it has a cool climate approach to cuisine. Located in a small strip mall just outside of the historic core of Niagara-on-the-Lake, the restaurant ignites your senses the moment you open the unassuming front door. The scent of fresh cut wood, warm bread and the glow of the central wood fired oven give Backhouse an air of contemporary sophistication. With its renaissance approach, and a staff that tends the garden and delivers vegetables that are cooked fresh or preserved for cooler months, Backhouse offers a peak into the growing season and Niagara’s agricultural plenty. And that doesn’t stop at the wine list, which heavily represents Ontario wines, including a broad spectrum of sparking (with so many fantastic options by the glass)! Our 12 courses were crafted by Ryan Crawford, Backhouses’ executive chef. Ryan has been in the kitchen his whole life, his culinary knowledge and emphasis on hospitality shines through. Aside from the beautiful menu prepared for us, and our journey though food and Ontario bubbles that paired perfectly with it, he and sommelier Bill Mochoruk one-upped everything by opening up a bottle of bubbly with hot-as-lava Port Tongs! Sabrage? Passé, we say.  Bring on the era of… Portage? And we don’t mean the movement of goods via canoe. Now, it would be an understatement to say that we were thrilled to have an all-Ontario-sparkling-wine-paired tasting menu prepared for us (and other sparkling wine lovers, vicariously through this post) by Chef Ryan and the team at Backhouse. Without spoiling too many details, we can easily say that VQA Ontario sparkling wine shimmered when paired with the integrated, cool climate cuisine at Backhouse. Each course played on the last, like a layered onion… but so much more delicious!  So, how did each course and pairing fare? Read on to find out! Technically, the aperitif course was just us getting ready for the eleven courses ahead with a taste of Ravine Vineyard’s new Charmat method bubbly. Made from the same base wine that goes into their (traditional method) Brut, this little sparkler surprises with crisp citrus and tender fruit (like peaches, which grow well out here, go figure!). Perfect on its own, this is a lovely alternative to Prosecco (though made with Pinot Noir and Chardonnay). A reminder that the VQA Ontario sparkling category includes many entry level-priced wines of incredible quality! Move over poached eggs, there’s a new guy in town: the Dip Dip Egg! A delicate dish served whimsically in a dried grass birds nest, the Dip Dip Egg is perfectly balanced. Fried egg white mousse is piped over a confit yolk, and topped with a touch of salty caviar. While the caviar was a perfect homage to the world’s most “classic” sparkling wine and food pairing, we wondered if a sparkling wine could it hold its own to an egg (albeit a fancy one)? The Ravine Brut sure did! Aged 7 (!) years on lees, with aromas of baked apple, toast and lemon curd, this bubbly was a creamy delight and wonderful way to start off our two course pairing. The rich confit yolk of the Dip Dip Egg offered our palate a savoury flavour that lingered nicely, and was matched beautifully by the creaminess of the Ravine Brut and cleansed by the bracing acidity still apparent in the wine. At only $38 a bottle, it’s a wonderful example of approachable traditional method, VQA Ontario sparkling. It’s no surprise this wine won Platinum at the 2018 Decanter World Wine Awards. If only we could award the Dip Dip Egg a Platinum Award, we would! The verdict? It’s a POP! Kolapore Springs trout comes from the Kolapore Springs Fish Hatchery near Collingwood, Ontario, and is an all-natural, sustainable organic hatchery. Served chilled, with cucumber, créme fraiche and a bit of canola, this colourful dish packed a flavourful punch. While fish, and other fruit of the sea, pair well with sparkling wine, the key with trout is that it needs to be incredibly fresh. And, Backhouse achieves this easily, building on the freshness with in-season cucumbers, dill and créme fraiche. The combination is both soothing and cooling; fitting for a place billing itself on cool climate cuisine, right? Holding its own is the absolutely delightful Angel’s Gate Brut Archangel Chardonnay ($28.95). This traditional method bubbly, hailing from the Beamsville Bench, is citrus driven, with high acidity, hints of toast, and a great umami character. A savory character? That’s right. While we couldn’t seem to agree on what exactly the savory character was (a touch of over ripe green melon? a little bit of grass, or was that just wet stone? ), either way it complimented the green accompaniments of the dish and, most importantly, the salty, buttery trout. This medium bodied and flavourful wine benefited from a touch of residual sugar (at 9 grams a litre) and, at less than $30 for a bottle, is an incredible value. There’s something to be said about prosciutto: salty, dry cured and packed with flavour. And while the stuff sourced from Italy is amazing, we love trying locally cured meats with local wines. So, the house prosciutto was (unsurprisingly) one of our favourite dishes. Paired with a tempura squash blossom, a fava bean spread and a touch of sweet mustard, this dish checked all the boxes for savory perfection. The fried blossom, with its delicious fats, worked well with the buttery, melt in your mouth prosciutto and the fava spread offered an earthy, pungent counterpoint. But, fava and wine? We were kind of sweating bullets (but mostly restraining ourselves from consuming this little dish too quickly). The Featherstone 2013 Cuvée Joy ($34.95) is named after the proprietor’s mother, Joyce, and is presented with a ribbon and crown cap closure. However you feel about the presentation and closure (we think it’s absolutely charming), the wine itself is aromatic, with tart citrus, toast, a unique savory character and a very creamy mouthfeel. As with the last wine, there was disagreement at the table about what exactly the savory character was: more ripe melon? herbs? In any event, the bracing acidity, together with the unique savory note, was the perfect backbone to the salty, fried and savory character of this dish. Another incredible value proposition by a medium bodied and flavourful VQA sparkling. The verdict? Three for three, it’s a POP! Backhouse makes its sourdoughs in-house, baked daily in their wood fired oven. The sourdoughs served as part of this course were delightfully tangy, thanks to the dough’s fermentation from naturally occurring yeast. Accompanied by a variety of creamy butters, this simple course was a welcome opportunity to break some bread, and chat about the versatility of Ontario sparkling wine with food. What’s better with sourdough than a bit more yeast, right?! Veering away from traditional method brut wines, this course was paired nicely with Henry of Pelham’s Cuvée Catharine Rosé Brut ($29.95). A classic on the Ontario sparkling wine spectrum, this wine is a standout. Available at most LCBO stores, and always showing beautifully, this wine is a reminder of the value proposition of VQA Ontario sparkling (being a steal at less than $30 a bottle). A beautifully balanced rosé (that, in our minds could rival many rosé Champagne’s in its style and autolytic character) can stand up to many dishes. We liked that it was paired with this rustic little course, and the bit of tang in the bread played nicely with the bready (no pun intended) autolytic character of this rosé sparkling. The fresh butter played up the creamy mouthfeel of the wine, and we may have eaten more than one slice of sourdough to confirm our enjoyment of this pairing. For research purposes, obviously! The verdict? Another POP? You betcha! Presented elegantly, and with a hue so green it screams of freshness, this chilled pea puree was a lovely follow up to the wood oven sourdoughs. Topped with crème fraiche and a few sourdough croutons (building on the last course), this dish captured to garden-to-table approach of Backhouse. Like the fava beans that appeared before, we were curious: can peas and sparkling wine get along? The short answer, is yes, with butter and crème fraiche as the (delicious) intermediary. While this dish’s colour was what stood out, it was its richness that made the Big Head Winery’s Non-Vintage Big Bang 60 Months ($100) the perfect pairing. Like the delicious puree, this wine can be described as rich, complex and weighty. Aged on the lees for 60 months and benefiting from a rich dosage of appassimento style Chardonnay that added to its robustness, we felt the “bang” in this wine. Its still bracing acidity cleansed our palates, encouraging another spoon full of rich puree (who could resist? We sure couldn’t). And, we also couldn’t stop talking about how akin this bubbly is to its cousins in Champagne. This particular release numbered a mere 100 bottles, and so for us, it was a real treat. Not to worry, though: Big Head has other sparkling! The verdict? We keep moving with the POP’s! From sourdough, to sourdough croutons and now to brioche, we moved forward to the next course. This one is a classic when it comes to pairing with sparkling and can sometimes be overdone. At Backhouse, it was beautifully presented – a generous amount of duck liver mousse in a ceramic duck foot. Who doesn’t love a bit of whimsy? Also served with a tart fruit preserve on the side, there is one word to describe this dish: decadent. The creamy, rich mousse, together with the almost pastry-like bread, and its tart accompaniment lifted our spirits and satiated our taste buds with delicious fats. As in marriage, a dish of this magnitude requires an equal partner. The 13th Street Premier Cuvée, which recently won Gold at Decanter’s World Wine Awards, is a wine that punches high above its price point (of a mere $35). A perfect example of why VQA Ontario sparkling wine is so special, it is a great value considering the exceptional quality. Made from 50% Pinot Noir, 50% Chardonnay and spending 48 months on the lees, this beautiful bubbly from the Niagara escarpment can be described as rich, complex and weighty (much like the course!). In our minds, the wine’s rich character and bright acidity stood hand in hand with the rich mousse and brioche. Not that we needed the bracing acidity to cleanse the palate and encourage another bite, because who doesn’t love the richness of duck liver and toasty brioche? Another bite, meant another sip! The verdict? And, as you’d expect – another POP! We have a particular attachment to smoked whitefish, since it reminds us of summers at the cottage overlooking Georgian Bay. Smooth, buttery and (in this case) smokey, this fish was a lovely follow up to the rich duck liver mousse. A touch of smoke gave the fish some depth, and like the Kolapore Springs Trout, the Whitefish was very fresh. Served with brown butter and picked mushrooms which added a creamy, rich and earthy character to the fish, we felt it was an inventive touch on familiar territory. Rosehall Run is located in Prince Edward County. As you know, this area has a short, temperamental growing season (being Ontario’s most northerly appellation). This, along with the unique, limestone rich terroir there, drives the character of this wine towards a beautiful minerality. This minerality, together with a bracing acidity, lively tree fruit character and creamy, almost saline mouthfeel, makes it the perfect pairing for the smoked whitefish. The basewine for this Blanc de Blancs (100% Chardonnay) sparkler is sourced entirely from the winery’s north and south block estate plantings. Small harvest? Temperamental growing conditions? Labour of love? Well, with that, this bubbly is a steal at less than $35 a bottle. We felt the Ceremony, when paired with the whitefish, was a ceremonial moment, indeed! The verdict? Hey Backhouse, another POP! Rich pasta with a creamy white sauce, pancetta and fresh peas… what’s not to love? A classic of Italian-American cuisine, the fresh peas in this dish added a bit of a local, Backhouse twist. We loved seeing the peas carried throughout the courses, and felt that they added not only colour and freshness, but a bit of earthiness to the dishes they appeared in. In the context of the carbonara, the earthiness worked well with the delicious fats found in the pasta, sauce and pancetta… and we just craved a bit of bubbly to help cleanse the palate (for the next bite, naturally). Far from Backhouse to not surprise us, this pasta dish was paired by Creekside Winery’s Backyard Bubbly ($25). A charmat method Sauvignon Blanc wine, it hails from the Beamsville Bench’s VQA Creek Shores, a sub-appellation crisscrossed with creeks and streams, glacial delta, rich fertile lands. This bubbly has a lot of character, and Creekside has always been up-front about the unique value proposition of turning Sauvignon Blanc into sparkling. While intriguing, it may not be the first we’d reach for with a rich pasta dish (but might be one we’d keep in your fridge for a hot Friday evening spent outside in the backyard, just saying!). Fruit forward, with tropical fruit, citrus and a green, savoury character associated with the grape varietal, this bubbly was in its own lane. While the first bite was food for thought, on the second bite, chock full of fresh, savoury peas, we got it! The verdict? We weren’t sure at first, but we came to agree, this is a POP! We love a nice cut of beef, especially when it’s dry aged and served with fresh summer veggies (in this case, squash and succotash). Dry aging concentrates the flavour of beef, allowing for final presentation with a simple sprinkling of salt and pepper. In this case, Backhouse’s dry aged beef was perfectly presented with a modest amount of seasoning, cooked a perfect medium and served with sides that scream summer on the shores of Lake Ontario. But… red meat and sparkling wine? We have to admit… we loved the pairing. While Backhouse selected Jackson-Trigg’s Sparkling Merlot ($29.95), dry aged beef could easily be enjoyed with a rich and complex sparkling rosé, be it the Trius Brut Rosé or the Henry of Pelham Cuvée Catharine Rosé. The concentrated, rich profile of the dry aged beef, together with the hint of salt from the seasoning, make it a perfect match to a robust sparkling rosé. And, Ontario sure is producing quite a few! But back to the Jackson-Trigg’s Sparkling Merlot. As a sparkling red, it showcases the diversity of what’s on offer in Ontario’s sparkling wine spectrum, and presents itself differently than an Australian Sparkling Shiraz (with more emphasis on the character of the grape varietal, rather than punchy, high alcohol and omnipresent residual sugar). Made in the traditional method, this wine has some weight and an intense colour that is a result of cold maceration prior to fermentation. Notes of red fruit, coffee and a touch of toast prevail and overall, the wine works nicely with the dry aged beef. A delicious break from our savoury courses paired with outstanding, and stand out, traditional method bubbles, this little treat reminded us that Ontario sparkling wine can also be enjoyed on the sweeter side! Made from grape sorbet and topped with sparkling raw Duc Vineyard Gewurtraminer Icewine, a little treat was quintessentially Niagara and the perfect segue into our dessert course. Backhouse’s playful take on the traditional mille-feuille, our dessert course was made up of two crunchy layers of pastry and piped crème anglaise, made with Ontario saffron and dandelion flower honey. We loved the novel, local touch – especially the local saffron which is notoriously labour intensive to harvest. Much like the wine industry (where labour intensive harvests are a staple each end-of-season), we appreciated the distinctly Ontario footprint of this little dessert. The crème anglaise was rich, but not too sweet, benefiting from the honey (but not succumbing to it). So you’re probably thinking: your sparkling wine should never be drier than your dessert. And, you’re right. Our dessert course was paired with Vineland Estate’s 2016 Cliché, a late harvest Riesling sparkling wine. On the sweeter end of the scale, this wine is a reminder of the diversity of bubbles in Ontario, from the perspective of method, grape varietal and residual sugar. The sweetness in this bubbly worked with the dessert, which was rich, and almost savoury in character. And, why not end an epic tasting menu and delicious dessert course with an “homage” to Icewine and late harvest Rieslings, one of the classics of Wine Country Ontario? The verdict? Oh, and it’s a POP! The sparkling wine category continues to grow in Ontario and the wines stand up to some of the best across the world in terms of diversity, quality and value. Most of the wines selected for our exceptional dinner at Backhouse were extremely approachable in price point, considering factors such as the costs of labour, land and, of course, holding the wine until it’s ready for market. As we tasted through the wines and enjoyed the pairings at Backhouse, we were reminded of the diversity and amazing value proposition of VQA sparkling (and especially so in the traditional method category). VQA Ontario sparkling wine made in the charmat method continues to pop up (pun intended) in the local market, and offers producers the ability to reach a customer base in a quicker, cost effective way. This in turn benefits consumers, who may start with a simple little sparkler and, once in love, pony up a few more dollars for a traditional method sparkler. But back to the charmat method bubbles: they’re approachable, super crushable (as the kids say these days) and are perfect for the patio, a mimosa brunch, the cottage or, as we experienced, with food! As lovers of VQA Ontario wines, we are constantly blown away by the quality of the traditional method sparkling here, and we want to reiterate that the “sweet spot” of value, quality and superior experience that if offers allows it to stand up to the world’s best. Next time you’re in the sparkling section looking at a bottle of Prosecco or Cava, think about (and pick up) an amazing local charmat or traditional method sparkling for the same price (but know your purchase is going back into the local economy two, three fold). 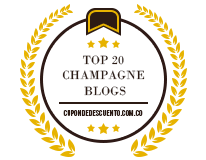 Hey Buddy!, I found this information for you: "When Cool Climate Sparkling Wine Meets Cool Climate Cuisine…". Here is the website link: http://sparklingwinos.com/when-cool-climate-sparkling-wine-meets-cool-climate-cuisine/. Thank you.